Bellingham Film's Script to Screen program is back for another year! The goal is simple: Let's break down barriers to entry for aspiring filmmakers. Let's help you develop professional skills in a safe, yet professional, environment. So how're we going to do it? This year Script to Screen is going to function as a shadow model. Participants will be placed on teams under the tutelage of experienced professionals and given specific tasks in order to help the entire crew complete production by mid-February. Director Maggie Craig--a working Script Supervisor best known for her work on the TV series Falling Skies. She's currently filming a TV series in Prague. Director of Photography (DP) David 'Moxy' Moxness-- DP of TV series' Lethal Weapon, Graceland, Fringe, and The Kennedys. Executive Producer AJ Winslow--AJ has experience in several areas including 5 years in LA in the Camera and Electrical Department of several short and documentary films. Grip & Lighting Matt Read--several TV series and feature films including Josie and Tell Me How I Die and The Love Witch. Makeup Artist Maureen 'Moe' Sherwood-- her broad experience encompasses broadcast television, media production, documentaries, film, commercials, photography and live theatre. Most recently, Maureen was Staff Senior/Key Makeup Artist for CTV/Bell Media in Canada prior to her move to Los Angeles. Bellingham Film Founder Avielle Heath-- an Emmy-award-winning filmmaker and jack of all trades, Avielle works throughout the Pacific Northwest and nationally as a line producer that specializes in production design and casting. Program Coordinator Josh Krenz--Josh has produced dozens of short films, written hundreds more, and won a few awards along the way. Every production needs support when the camera is up and running. 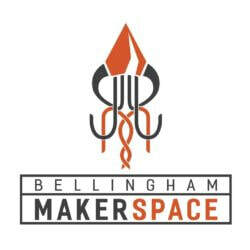 Bellingham Film is allowed participants to apply as production assistants at a discounted rate. The production assistant role is great for individuals who have limited schedules, limited budgets, or are unsure as to how they can contribute to the production. Participation Fee: $30 for up to four days on set as a production assistant along with access to team production meetings. ​As a community project, everyone living within Whatcom and Skagit counties are welcome to participate. Sorry, Snohomish. We’re limiting it to these areas in order to help promote filmmaking in Bellingham Film’s backyard. There will be plenty of roles and opportunities available to those who are interested, so we encourage you to reach out today. Is this a project that can be shot with a $1,000 budget, a safe 3-4 day local shooting schedule, and with the resources Bellingham Film has available? Are there educational opportunities for other participants in this idea? Do we think this idea has potential on the festival scene? Scripts are due at 8 p.m. PST on September 9th, 2018. Anything submitted after this deadline will not be considered for this year’s Script to Screen program. There is a $10 submission fee for scripts, with all proceeds being used to fund the Script to Screen program. We’re only going to accept one script per person, so pick your favorite screenplay. Pitches will not be read until a submission release is received and payment is processed. Please pay the $10 submission fee here. A logline – A concise sentence that describes your story. Here’s a pretty good article on writing loglines. A synopsis, no more than one page – A brief summary of your idea, including only important characters and plot points that demonstrate story. The synopsis should give a clear and simple outline of your idea in an easy to read format. Seriously, though, no more than a page in length, so don’t include dialogue or hard to follow action. This page gives a few examples of how to construct both loglines and a synopsis in a clear manner. Here’s another good link that includes more information on writing a strong logline and synopsis. A brief overview of what this story means to you – We’re looking to tap into ideas that have some value to the writer. This doesn’t mean we’re looking for slice of life narratives about a childhood dog that went missing, but it’ll help your case if the narrative resonates on multiple levels. Rosemary’s Baby, for example, is less about Satanism than it is the experience of pregnancy, the fear that something is wrong, and the paranoia that no one else understands what you’re going through. Ultimately we’re interested in the emotional engagement of a story, regardless of genre. Whether it be comedy, drama, horror, or some combination of the three, we want the material, theme, and the writer to be in alignment. What's Different This Time Around? We'll be working off of a shadow model. This means participants will work directly under professional mentors. You'll still get opportunities to participate in critical tasks and collaborate, but this model gradually introduces you to filmmaking skills. We're also increasing the cost to better offset the costs associated to the production. Don't worry, it's only $60 to be part of a production team. Alternatively, you can participate as a production assistant for only $30. Production assistants will only be assigned tasks onsite and will less responsibility than participants on the production team. Finally, this year we'll only be accepting completed screenplays. Last year we accepted pitches and helped writers to develop their ideas into screenplays. Writers can utilize our Short Screenplay Workshop or Script Studios to help develop their screenplays. The writer on Script to Screen is still expected to work with producers and directors in refining their material as the production moves forward. What If I’ve Never Worked on a Professional Film Set? Sign up! That’s why we created Script to Screen. We’re going to help you develop professional filmmaking skills so that you’re prepared for real-world opportunities. We’ll do our best to pair you with the team you’re most interested in. Here’s a link with a fairly complete listing and description of different jobs on set. It should give you some idea as to who does what and how you can be involved. Some roles, like the film loader, probably won’t exist on this production (since we’re shooting digitally), but feel free to reach out with any questions you may have about specific tasks. What Kind of a Commitment Am I Making? Crew members should expect at least a three month commitment with rigid deadlines and meetings throughout. Crew are expected on set for all days of production. ​If you cannot offer this level of commitment, we recommend applying as a production assistant. These positions do not carry the same level of responsibility as crew, but are absolutely necessary for production. Bellingham Film is doing its best to find outside support for this program, including gear donations from local production companies. However, we are asking members to make a small contribution to help finance this project. This money will be used for feeding everyone and covering all the costs of production, including post. No one is getting paid for this, all are volunteers—including Mentors and Committee. We’re only asking for a small donation so that it’s accessible to everyone. If I Pay $10 to Submit a Screenplay Do I Have to Donate to Participate in One of the Phases? Yes. The $10 pitch fee is independent of the participation fee. Again, these donations are one of our only avenues for funding the program. What Happens if Script to Screen Raises More Money Than the Cost of Production? The money will be used to enter the completed Script to Screen film into festivals, help fund future Script to Screen events, and be used to finance future Bellingham Film collaborative learning experiences. Still have questions? Click here to email us! Who Owns the Final Product? The final film will be a property of Bellingham Film. Our primary goal here is to create a sustainable collaborative learning experience in a professional setting; the film is a byproduct of that process. Any revenue generated by the work will go directly back into the Script to Screen program and will be used for future Bellingham Film programs. Bellingham Film is not supported by tuition or outside grants, so all revenue becomes a critical part in realizing future Script to Screens and other learning initiatives. Writers will maintain underlying rights of the idea, characters, concept, or other written work created during the Script to Screen program for purposes of future works. If you want to adapt this story into a feature, not only will you be able to, but we’re glad to help you in the process. If you are interested in participating in Script to Screen please fill out the form below. We will contact you when we are forming production teams. Please Pay the $60 participation fee. Call for crew goes out. Bellingham Film was founded in 2012 by Avielle Heath. The goal was simple: create a series of resources that can help connect filmmakers throughout Whatcom and Skagit counties. Since its inception, Bellingham Film has successfully launched workshops, festivals, and other organized events to support, enable, and showcase Washington filmmakers.